TAP Thai is everything you love about Santa Barbara, in Thai food. We take our favorite homemade dishes and put a modern spin on them to make them uniquely TAP. 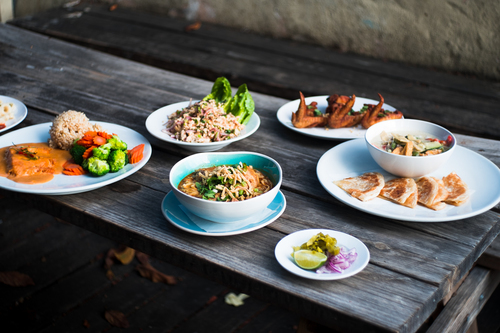 At TAP Thai you’ll find only the freshest, highest quality ingredients, making your meal not only delicious, but healthy too. A vibrant, authentic dining experience. From the hand-drawn designs on our walls to our new Thai iced tea popsicle machine, we’re all about fun at TAP Thai. We want you to enjoy your meal in a comfortable, relaxed environment. 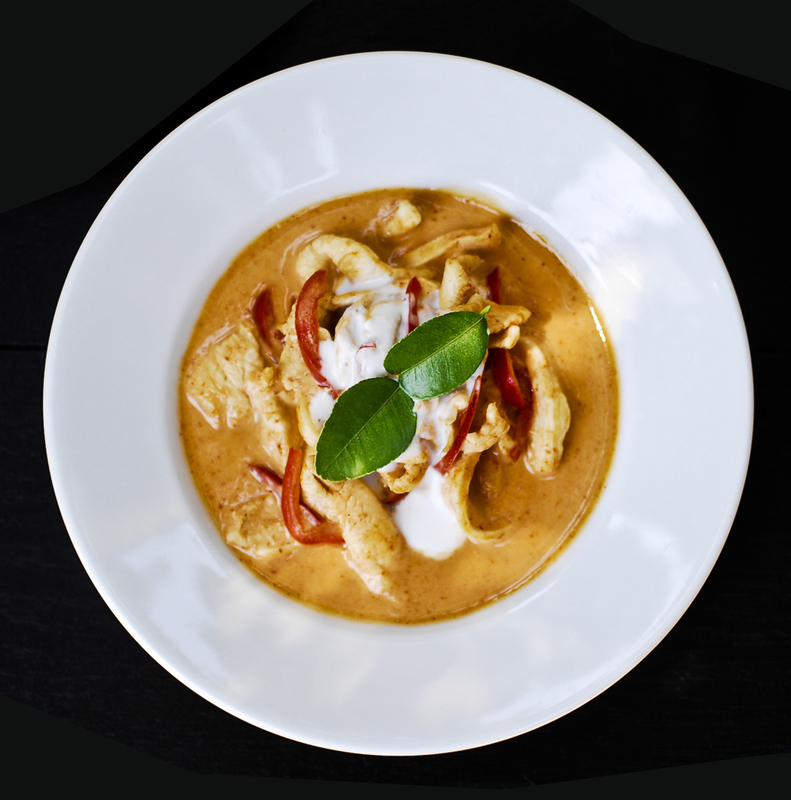 TAP Thai is a destination for you, your friends and your taste buds! Come visit us at 3130 State Street. Rice, pineapple, eggs, onion, tomato, rasins, curry powder, soy sauce. Red Thai curry paste in coconut milk base, bell peppers, Kaffir lime leaves. 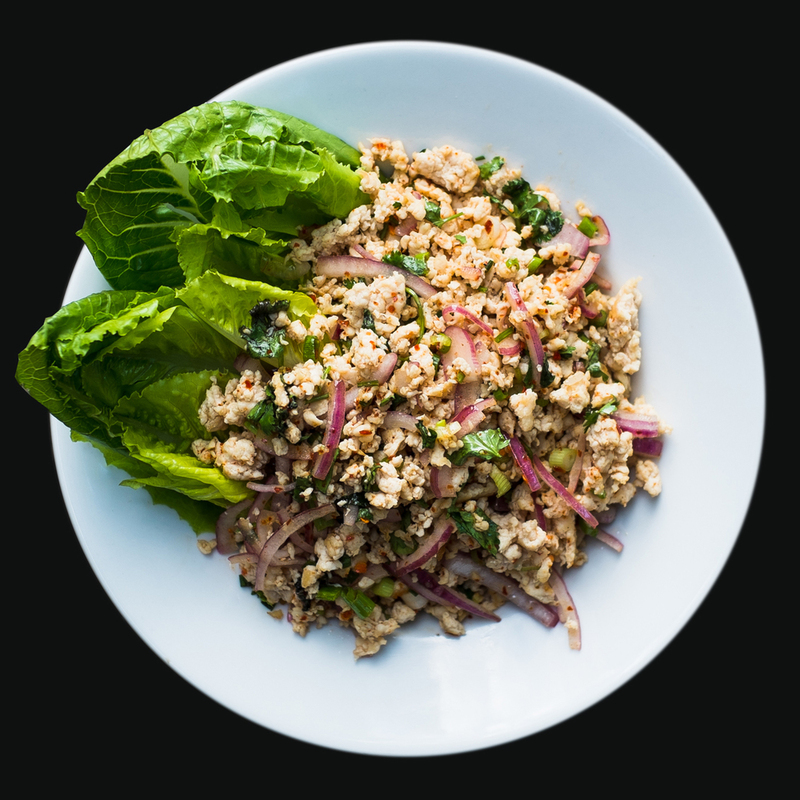 Ground chicken, onion, cilantro, dry chili, Thai herbs, rice powder, lime juice. Served with heart of romaine. When you walk into TAP Thai, we want you to feel welcome. Walk in and sit down to a homemade meal with TAP family and friends. Our mission is to not just provide a tasty meal, but to offer you a fun dining experience. Pull up a chair and enjoy an authentic Thai meal in our lively dining room. Our hand-painted walls make great conversation starters. 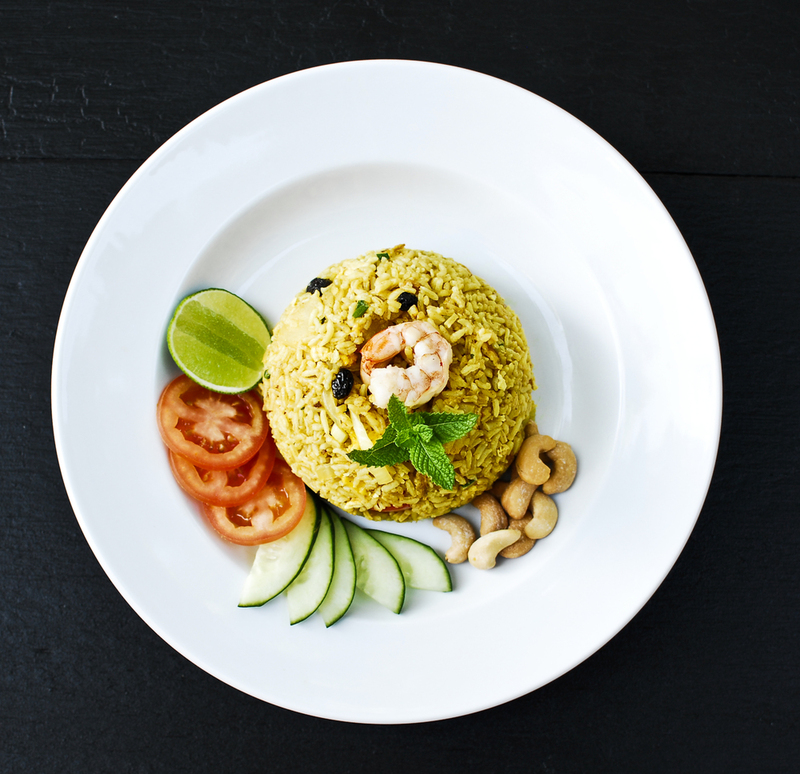 Our passion for Thai cuisine can be tasted in every bite. Our casual atmosphere enhances your collective dining experience. TAP Thai is your perfect destination for a fun meal with that special someone, friends new and old, and families of all ages. Kids from 1 to 99 are invited to try out our new popsicle machine! TAP Thai is all about sharing, fun, and of course great food. Our guests become our family. Stop by and join in the fun! Welcome to the TAP family! TAP was founded on the basis that a strong passion for great food paired with a mission to delight our guests with family-style hospitality, results in an authentic eating experience.